Your centerpiece flowers will be the focal of your guests when they sit down to dine at your wedding reception, so let's turn a "ho hum" bubble bowl into a stunning centerpiece! 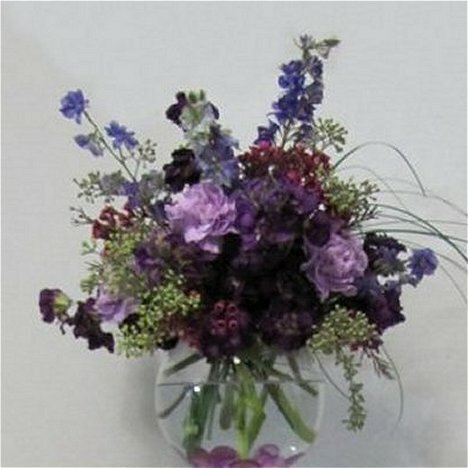 Don't worry about the colors - simply change the flower varieties and colors to suit your own wedding color palette. 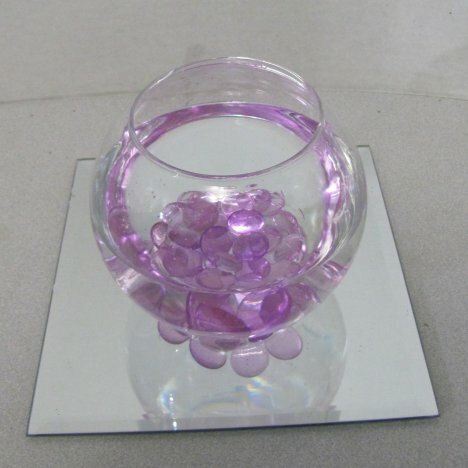 Everyone's familiar with the standard bubble bowl (sometimes referred to as a "fish bowl") as a wedding centerpiece with a floating candle or two. Let's see if we can't jazz up an old favorite and put it into the WOW!! category. I plan on putting lights under each bowl as they sit on the reception table, so I'm adding a few flattened pebbles in a matching shade in the bottom of the container. This has a lovely effect when a light shines upwards from the bottom of the bowl. 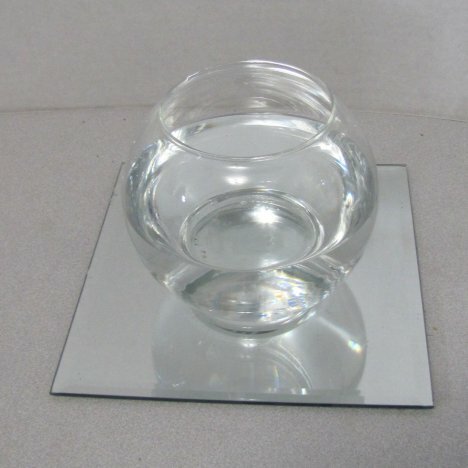 You can purchase both the bowls and the marbles at discount stores, thrift stores and dollar stores. I can sell them if you desire, but I usually urge my customers to run and pick them up locally if possible. 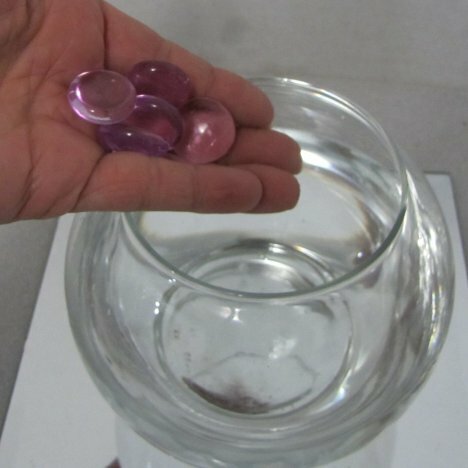 Shipping glass and marbles turns into heavy shipping fees, so these are items that really are worth a shopping trip. I usually put a mirror under each bowl, because you can easily add votive candles and more to create reflective light upwards onto your centerpiece flowers. The first essential step to all flower design is to learn how to process your flowers correctly. Most online flowers are delivered by either FedEx or UPS or other similar carriers. The cost of a refrigerated truck would drive flower prices up - probably beyond the reach of the DIY bride. Don't worry - hybrid flowers have been conditioned to withstand the trip on a FedEx truck, but it is important to take your flowers in immediately and cut and place them in water to rehydrate them as quickly as possible.